Learning IFR Flying in Denver’s Class B Airspace will provide the student with valuable experience as a professional helicopter pilot in various markets such as emergency medical transport, fire fighting, search and rescue, off-shore oil rig transport, air taxi, charter operations and air patrol law enforcement. Even if the student is only interested in a Private Instrument Rating the experienced gained in Class B Airspace will sharpen their radio skills and heighten their situation awareness should they ever require flight through IMC or Special VFR conditions in large metropolitan areas or over featureless terrain. The student will start off learning Vertical IFR flying in Class E airspace (e.g., Erie, Longmont and Loveland - Ft. Collins Airports) while mastering basic IFR skills. The student will transition to Class D airspace (e.g., Rocky Mountain, Front Range and Centennial Airports) during the Stage II phase of Vertical IFR flight training. 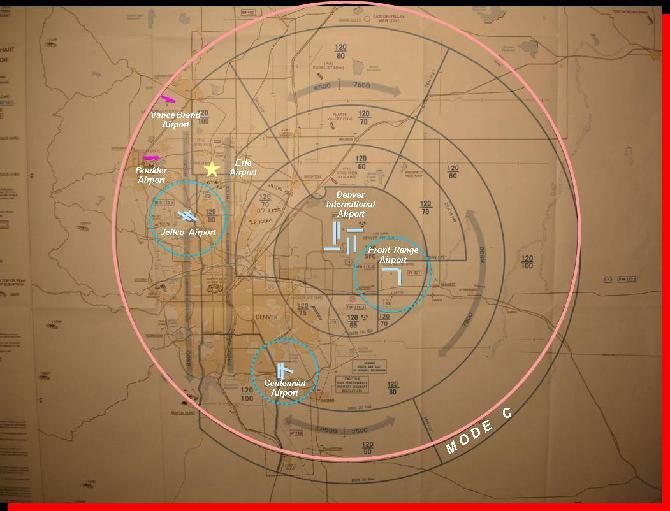 Finally we will incorporate Class B (e.g., Denver International Airport) into the final phase of Vertical IFR flight training when the student is preparing for their final FAA check ride.